It will be hard to imagine discipline without the father at home. 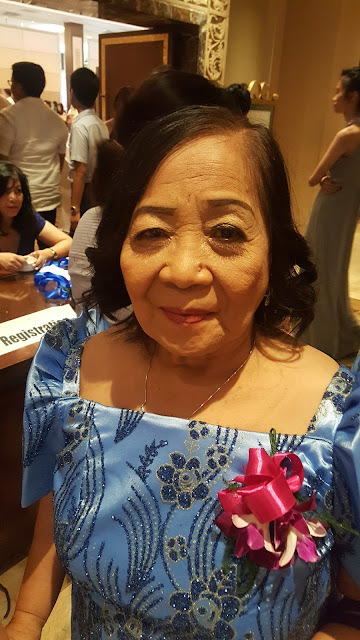 Mr. Ignacio "Daniel" Medallo Jr., the father of Danilyn's Enterprises Inc., taught us all how important it is to revere the mother while instilling discipline. 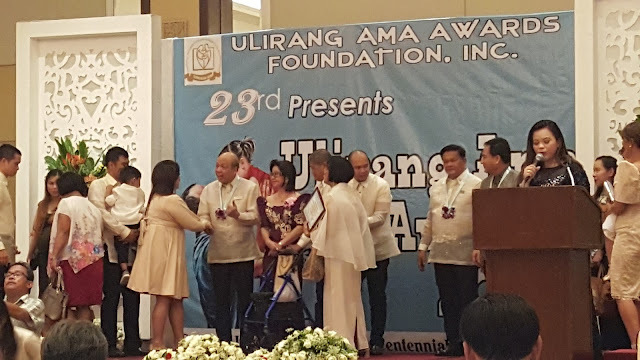 I stood witness to his three sons referred to their father as the greatest when Mr. Daniel Medallo Jr. was hailed as one of the recipients of 23rd Ulirang Ama Awards held at Manila Hotel Centennial Ballroom yesterday. Dante, the husband of the 23rd Ulirang Ina Awardee Mrs. Melinda Medallo could not grapple his appreciation on his children's efforts flying all the way from Australia just to show their support. Mr. Medallo used to be a casino manager before he ventured creating their renowned furniture business-Danilyn's Enterprises. 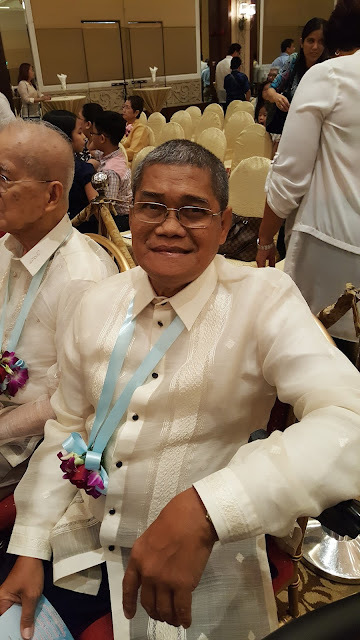 "He was strict making sure we follow the rules at home", says the eldest son of Daddy Daniel who recalled his fondest memory of his father gathering all his brothers for a dose of discipline. The middle child Daniel Carlo who admitted being the black sheep concurred with the story appreciating how Daddy Daniel once gathered everyone just to be hit and snap out of their silly fights as brothers when they were young. All three of them expressed appreciation of what they thought a fuzzy logic of a father until today. In so many occasions, more often than not, we wish to happen is a father standing up for the whole family as the pillar of strength and power. That power of the father absent in many of the Filipino families today should be reminded of a significant story like Mr. Daniel Medallo's. In celebration of Father's Day, let us all teach the lesson from Mr. Medallo's act of discipline with just the right dose of masculinity and respect to women. We all need a breed like Mr. Daniel Medallo. This unfathomable regard of a father is what we all heed as a nation. If there is none, still, someone must opt to step up the stage and lead. While many men become fathers not by choice, implore discipline and make children eventually appreciate the gifts of submission soon after. 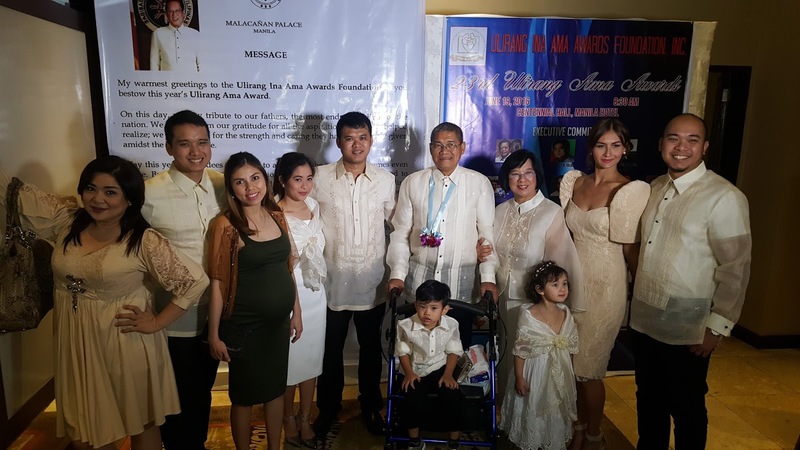 Mr. Medallo may not have a better facility of language to express his appreciation (because of his medical condition) but he perseveres against the odds to provide a better life for his family until now. Thank you Mr. Medallo for making me realize the father I never had. Happy Father's Day to all!